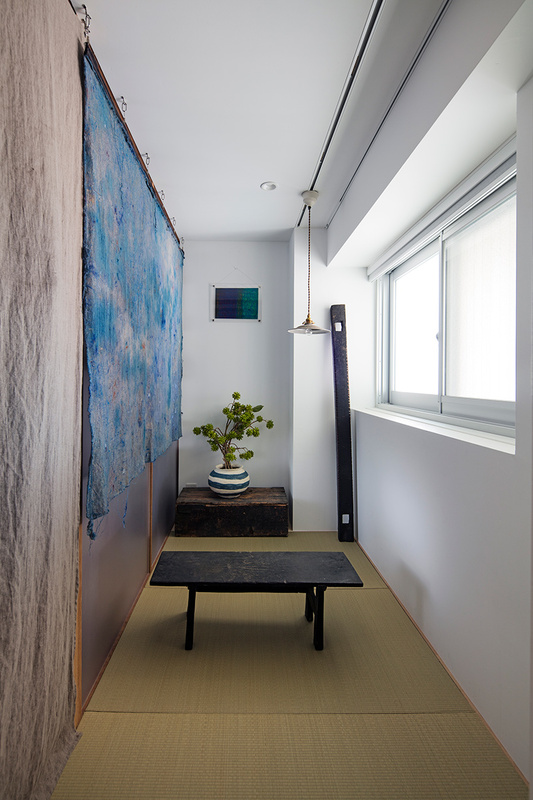 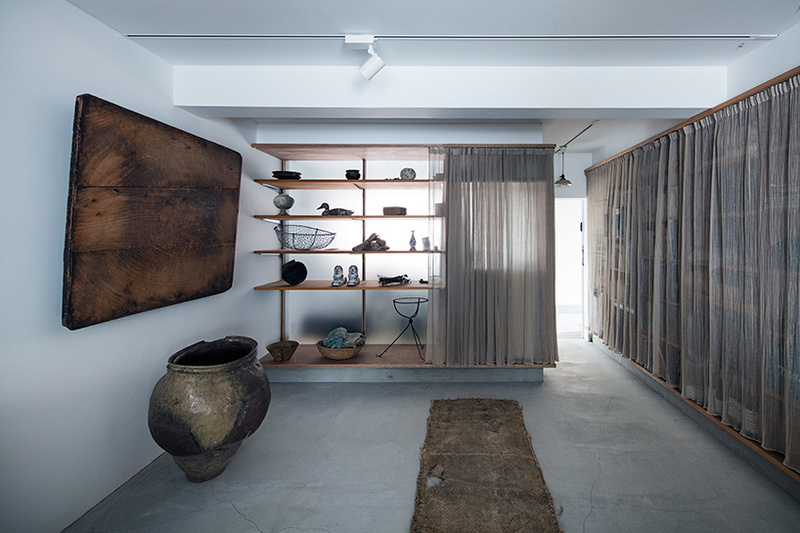 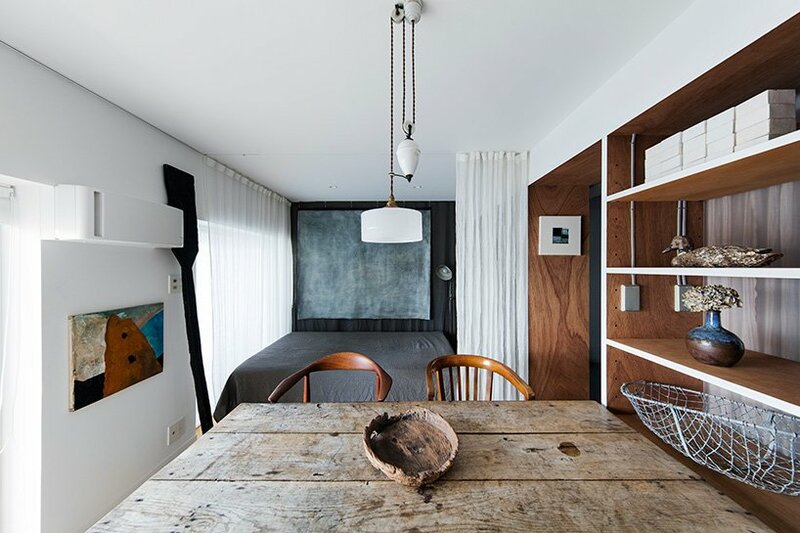 in the japanese city of saitama, nori architects has transformed a single room of a concrete apartment in order to serve as both a gallery and a residence. 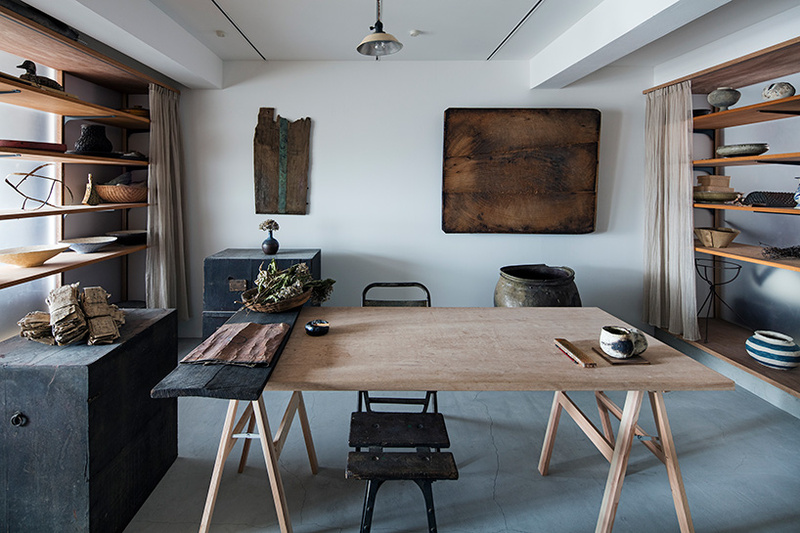 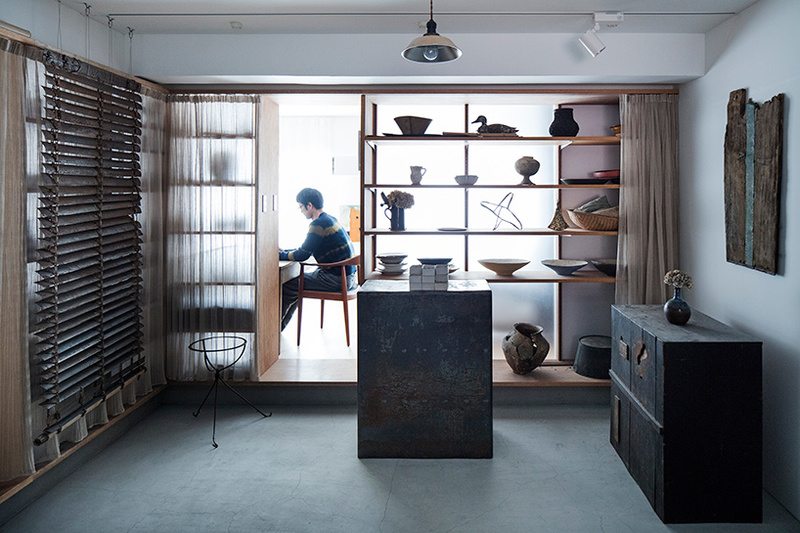 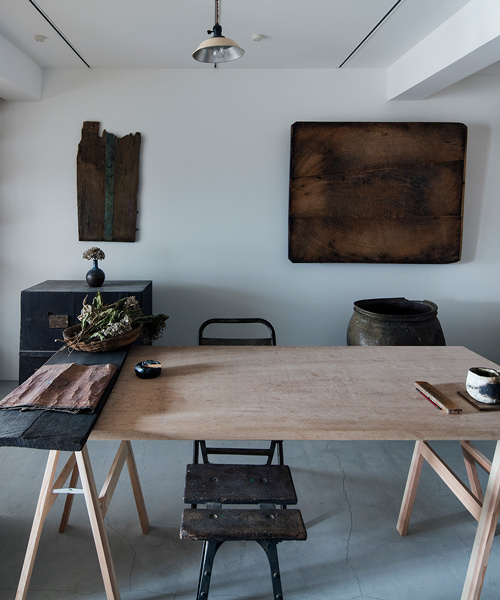 as the owner — yuji yoshida — collects antiques, modern pottery, and modern art, the project began with the intention of living and working in the company of beautiful objects. 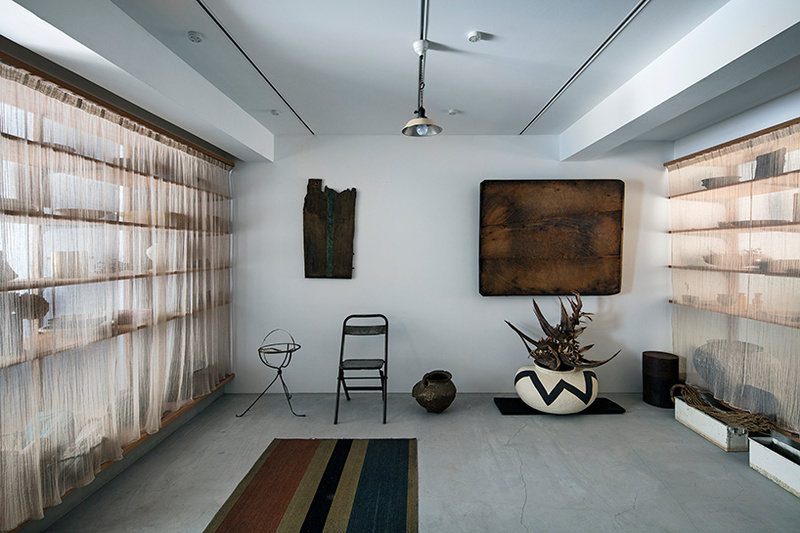 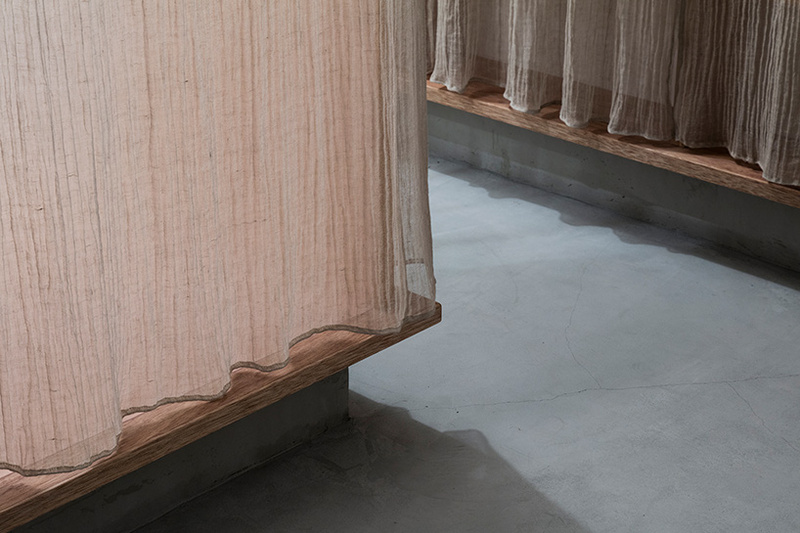 although the gallery is often closed to the public, and none of the objects are for sale, the semi-public space remains open to acquaintances of the owner, who often visit and sometimes stay overnight. 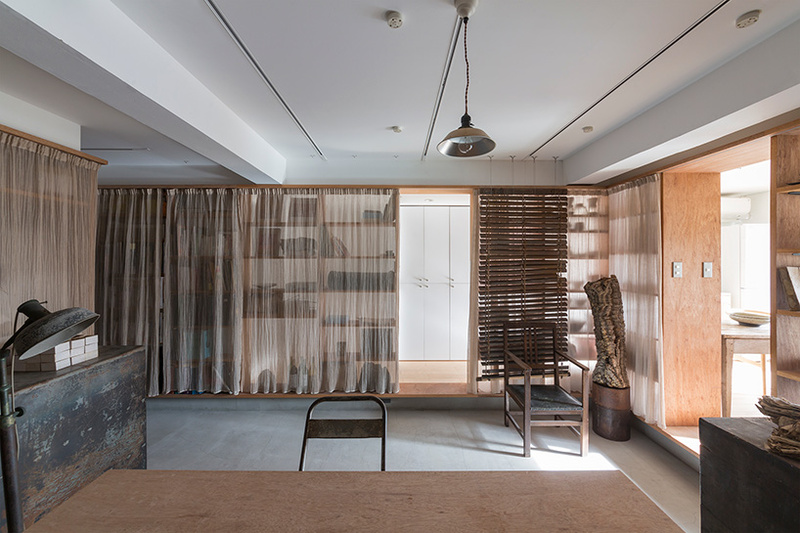 located on the fifth floor of a six-storey building, nori architects stretched the gallery from the entrance without any barriers. 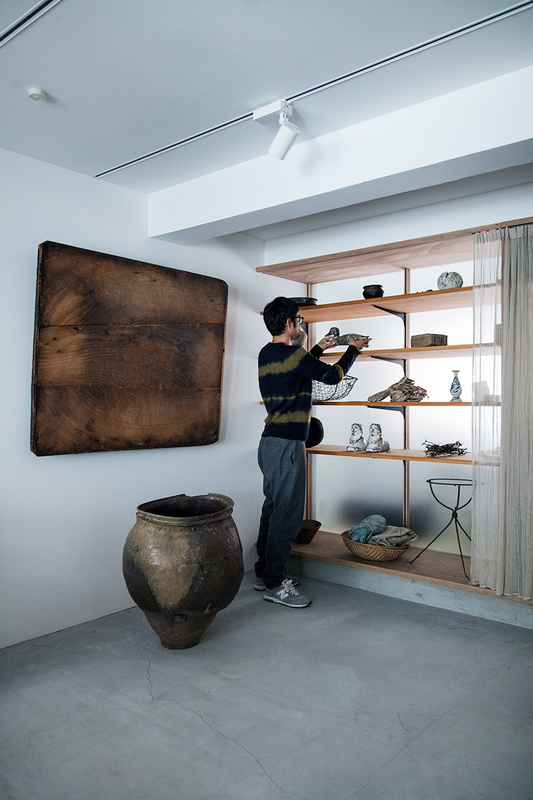 the precious objects are placed in the gallery and on the shelf surrounding it, with layouts that change from season to season. 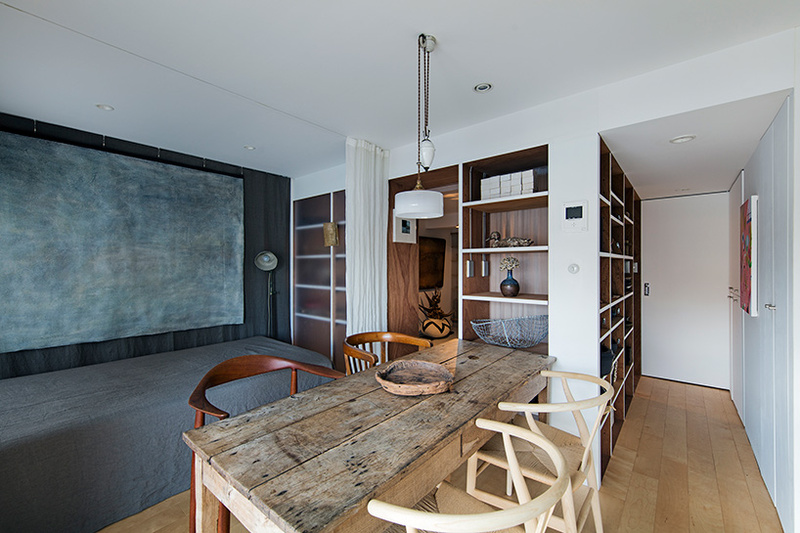 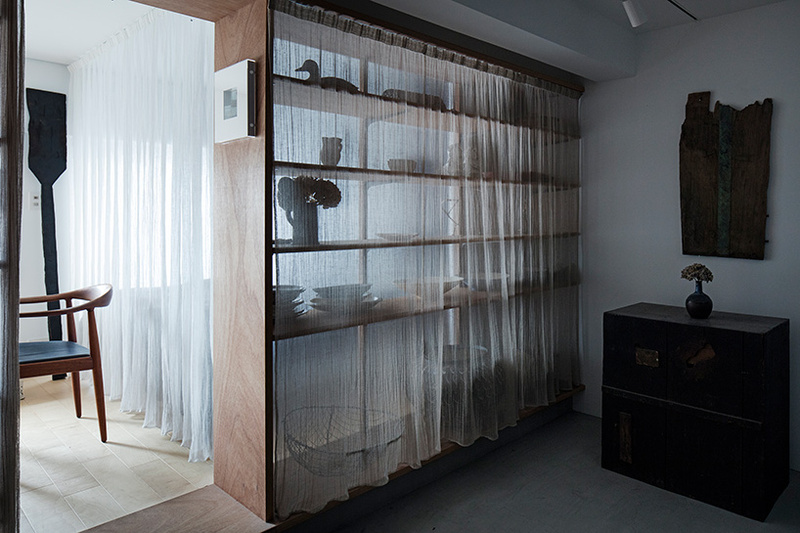 part of the shelf leaves space for people to go through, while also serving as an entrance to the residential space — which receives plentiful daylight. 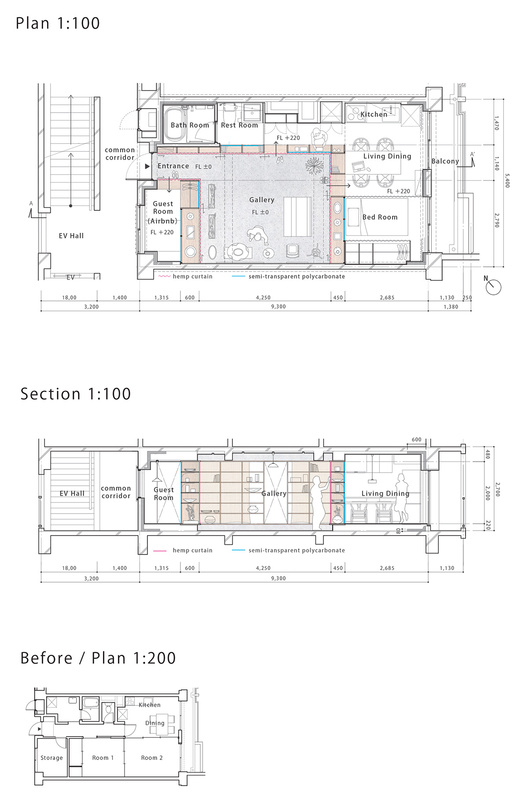 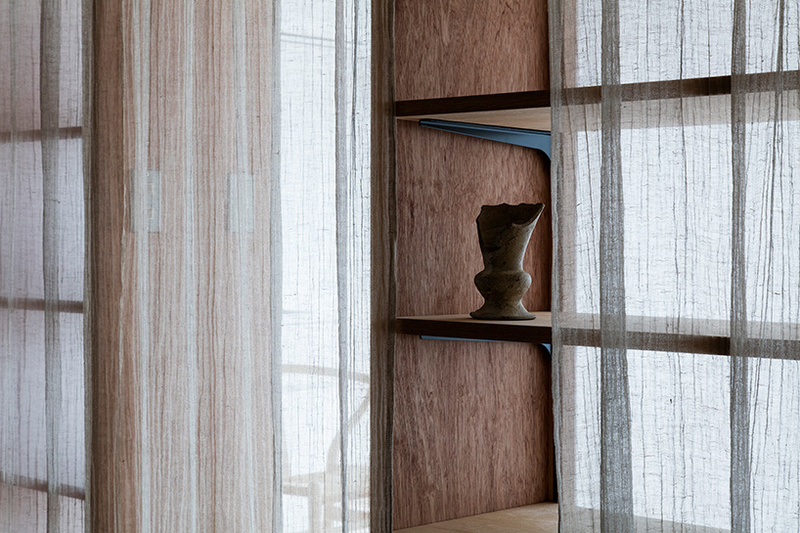 the room can be adjusted with the help of blinds and curtains, which subtly transform the space.